One of the most uplifting films at this year’s Durban International Film Festival is also an indictment of Sudan’s current president, Omar al-Bashir. Beats of The Antonov gives a human face to the victims of al-Bashir, who was allowed to leave South Africa last month, flouting a court order and international convention. The documentary tells the story of the people of the Blue Nile and Nuba Mountains in Sudan, who fought with the South for independence but now remain trapped in a civil war in the North. According to The Mail and Guardian, the ANC described the decision to aide al-Bashir’s escape as “choosing African unity over the law.” But after watching the film, you’ll be left asking whether a stand for African unity shouldn’t rather be a stand with the people of the Blue Nile and Nuba Mountains, not with those trying to Arabicize them. The documentary is not anti-Islamic; it just argues that you can be Muslim without needing to be culturally Arabic, that you can embrace being an African Muslim rather than forcing everyone to be an Arabic one. This may all sound like unlikely source material for the most uplifting film at the Durban International Film Festival, but Beats of the Antonov is a celebration of the human spirit and of the Sudanese people South African president Jacob Zuma failed to protect when he had the chance. These are people who laugh after surviving an air-raid, who dance all-night to stay awake while on sentry duty; this is a place where music is as integral a part of society as water, food and air, a place where there is no separation between the musicians and their audience. 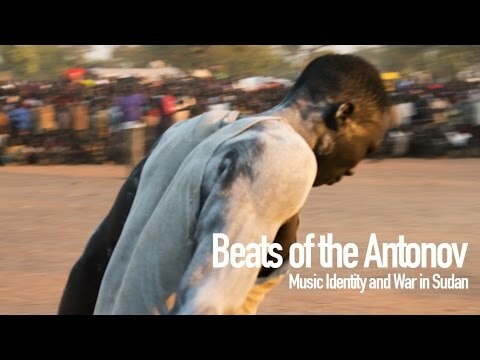 Beats of the Antonov has charmed audiences around the world, even winning The People’s Choice Documentary Award at The Toronto International Film Festival and four other international awards. Sudanese filmmaker hajooj kuka directed and shot the documentary over two years, at immense personal risk. He also produced alongside South African Steven Markovitz, as a coproduction between Sudanese production company Refugee Club and South African company Big World Cinema. South African Khalid Shamis edited the documentary with hajooj kuka in Cape Town. hajooj kuka will be attending the Durban International Film Festival, where Beats of the Antonov is in competition. The documentary premieres on Saturday, 18 July 2015 at 6pm at Suncoast.